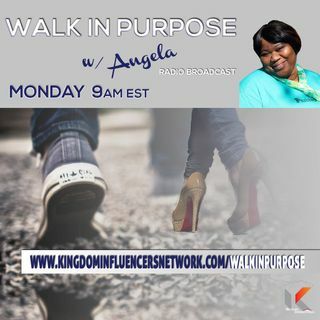 Walk In Purpose with Angela is a show to inspire others to walk in their purpose according to God's word. Angela is providing tips and inspirational moments to help others walk in their God-ordained purposes. Join the Walk in Purpose family to obtain what is required to walk in purpose and be inspired by individuals around the world who tell it all or how they transitioned from walking in pain into purpose.